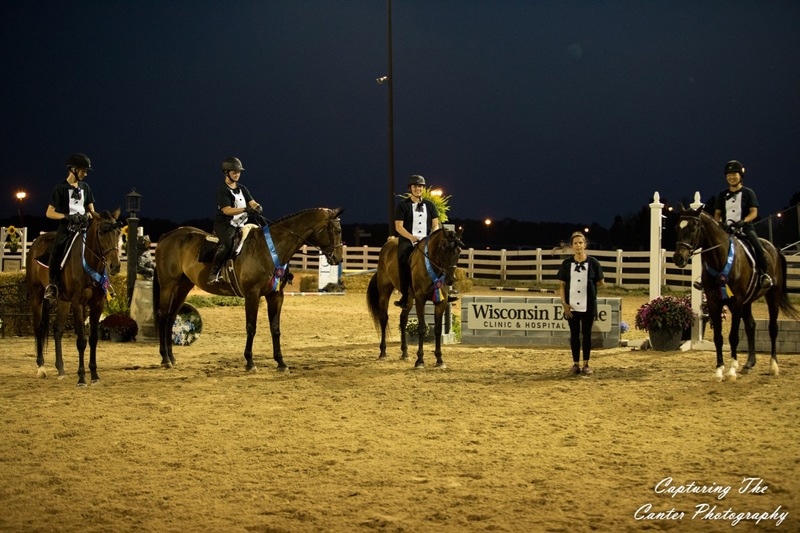 West Bend, WI – August 26, 2017 – Old Seoul Equestrian and Courtney Hayden-Fromm hosted the 5th annual Wisconsin Equine Derby Weekend, August 18-20, 2017 at the Washington County Fairgrounds in West Bend, Wisconsin. 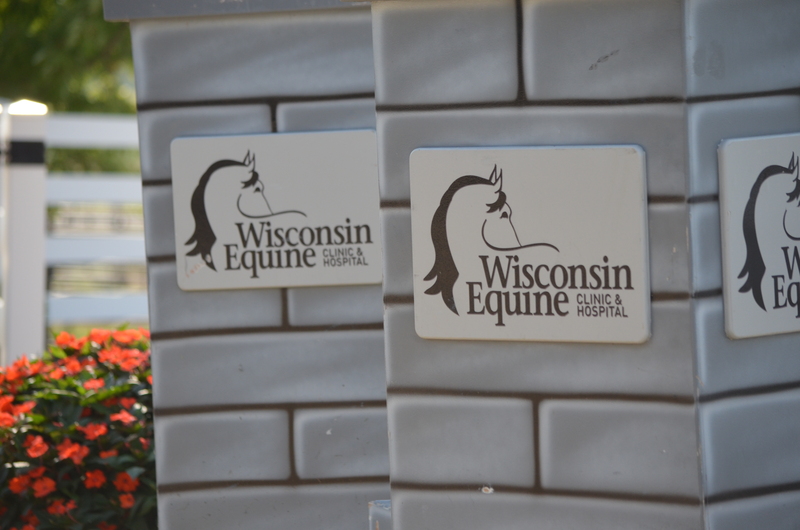 Clinicians Cyndi Grossman-Merritt and Michael Henaghan kicked off the weekend teaching riders of all levels. 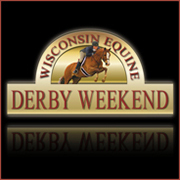 In addition to a great derby weekend, over $16,000 was raised throughout the week from the Erin Brown Memorial Sportsmanship awards fund, all warm up classes, a calcutta auction and silent auction which benefitted Amazing Grace Equine Sanctuary, the Sullivan Maney Fund, a sportsmanship award fund and Healing Haven of WI. Cedar Creek Equestrian 4 Bar Challenge winners Panda Express and Emily Anderson. 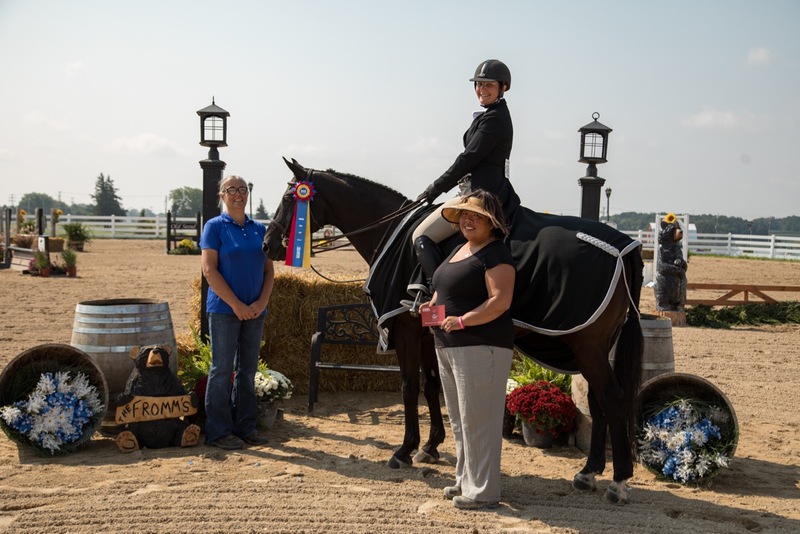 On Friday evening, exhibitors enjoyed the Fromm Grading and Excavating Pizza Party while taking in the Cedar Creek Equestrian 4 Bar Challenge, with Panda Express and Emily Anderson with the win. 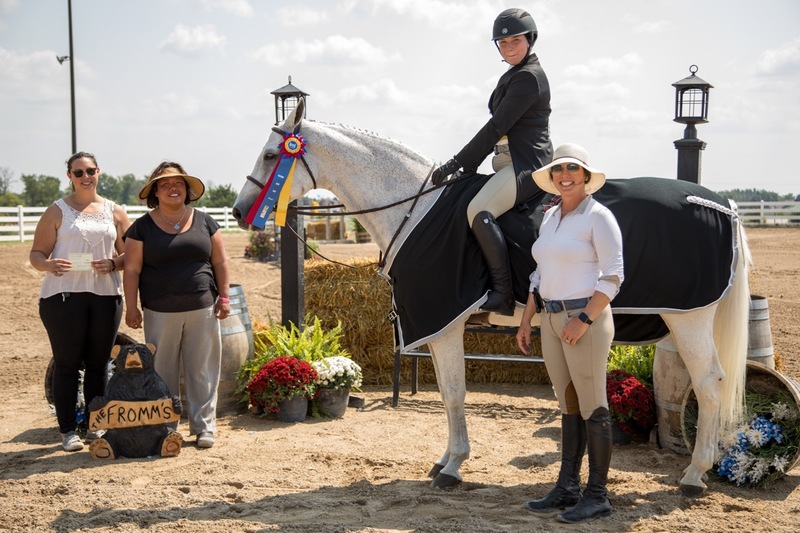 Saturday was hunter derby day featuring the $500 2'3" Halls Saddlery Hunter Derby won by Dark Knight and Jamie Priske, the $500 2'6" Le Cheval Hunter Derby won by Kentucky and Marissa Scaffidi and the $1000 2'9"-3' Hope Memorial Hunter Derby with winner Daylight and Cassidy Oppermann. 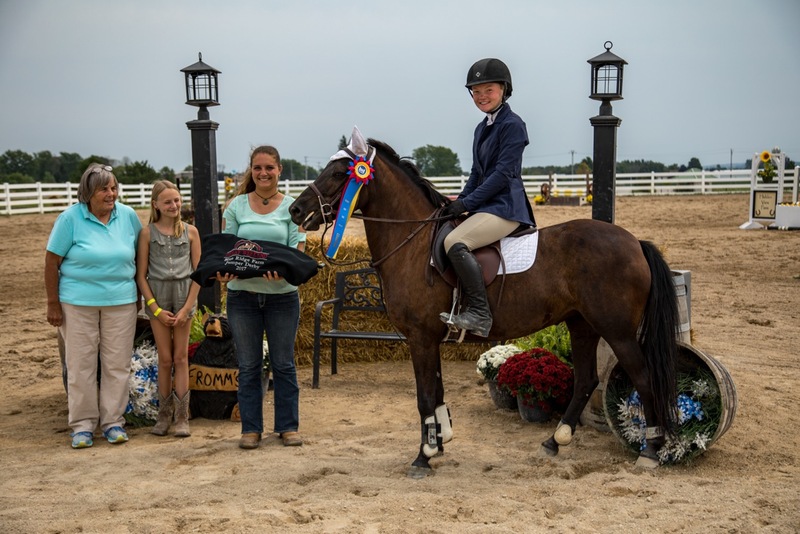 2'9"-3' Hope Memorial Hunter Derby with winner Daylight and Cassidy Oppermann. Saturday's Parade of Champions included the High Score OTTB presented by Courtney Hayden-Fromm in memory of A Finer Thing, which went to Better Days are Coming and Olivia Sullivan, the High Score Non-TB present by Roc USA won by Kentucky and Marissa Scaffidi, the High Score Hunter Round presented by Breakaway Farm going to Solid Citizen and Emily Anderson owned by sister Vanja Anderson and the High Score Handy Round presented by Chicago Equestrian went to Kentucky and Marissa Scaffidi. 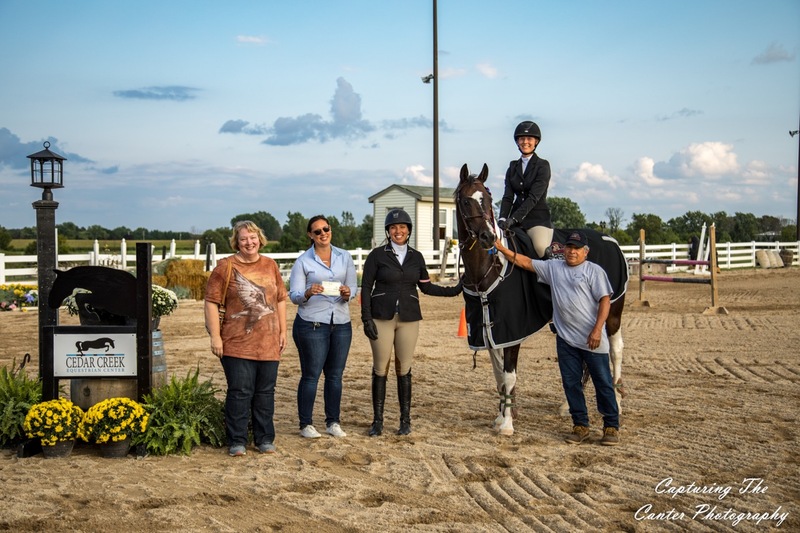 Saturday evening's highlight was the Wisconsin Equine Clinic & Hospital dinner showcasing the Hunter Teams Calcutta winners "Tall, Dark and Handsome" coached by Mary Skarsten with riders Olivia Bayer, Olivia Sullivan, Sydney Carlin and Stephanie Trombley. 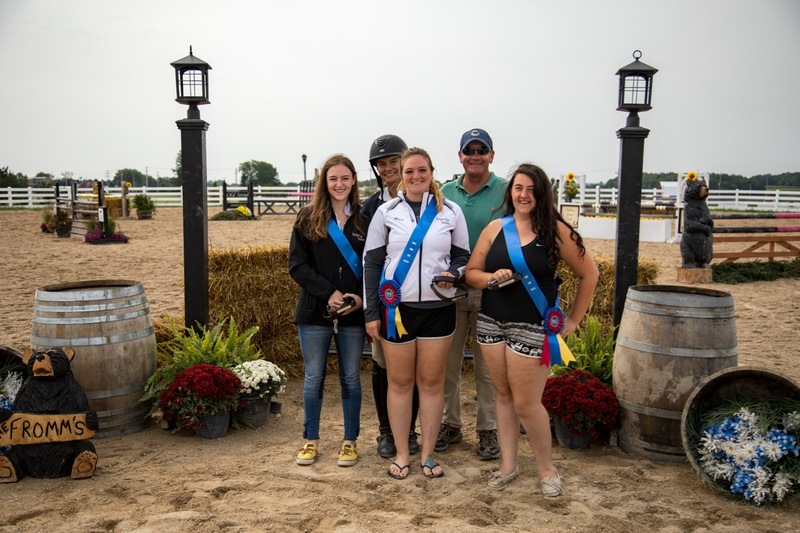 The Jumper Teams Calcutta winners were "The Last Line Benders" coached by Charles Zwicky with riders Carley Schwendel, Megan Miller, Nicole Henning and Caroline Cibulka. 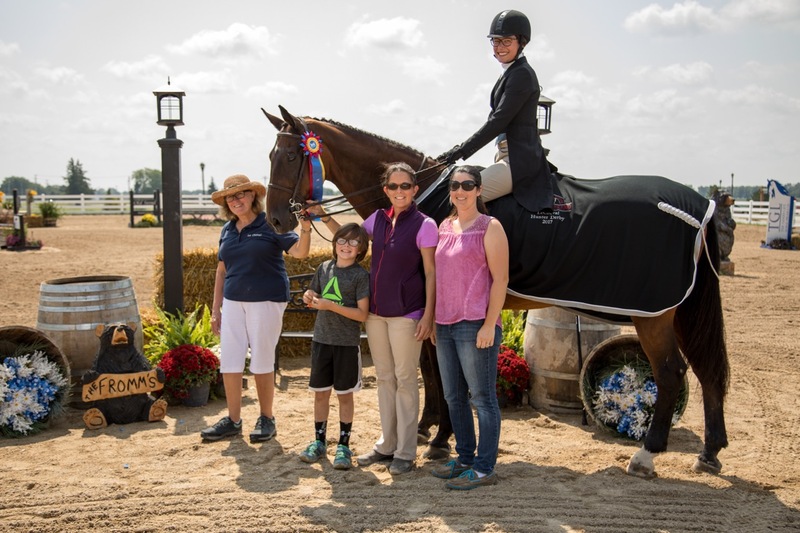 Sunday featured the UlcerGuard/Gastro Guard Brunch as exhibitors participated in Jumper Derby classes and the Barbara Biever Memorial Equitation Classic. Helen Biever presents to Marissa Scaffidi. 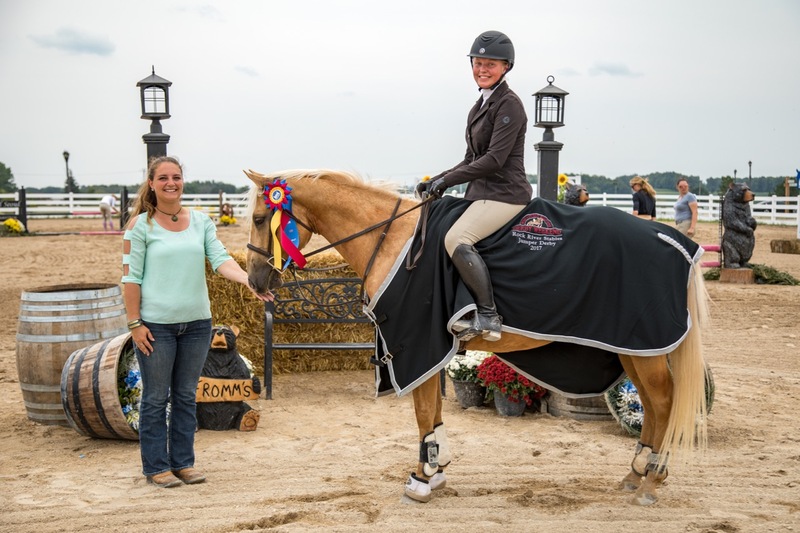 The Barbara Biever Memorial Equitation Classic is scored 50% on the over fences section, 30% on the flat and 20% on a horsemanship quiz. This year's winner was Marissa Scaffidi. Sponsor Ella Wilson of Blue Gate Farm with Patty VanHousen (left). Roc of Angels and Patty VanHousen won the Blue Gate Farm 1.10m Jumper Derby. Sponsor Ella Wilson surprised the class by doubling the prize money, making it a $2,000 class! Additionally, she shocked VanHousen by picking up the tab for her entries. Split Rail Stables 1.0m Jumper Derby winners James Cricket and Dani Salaj. 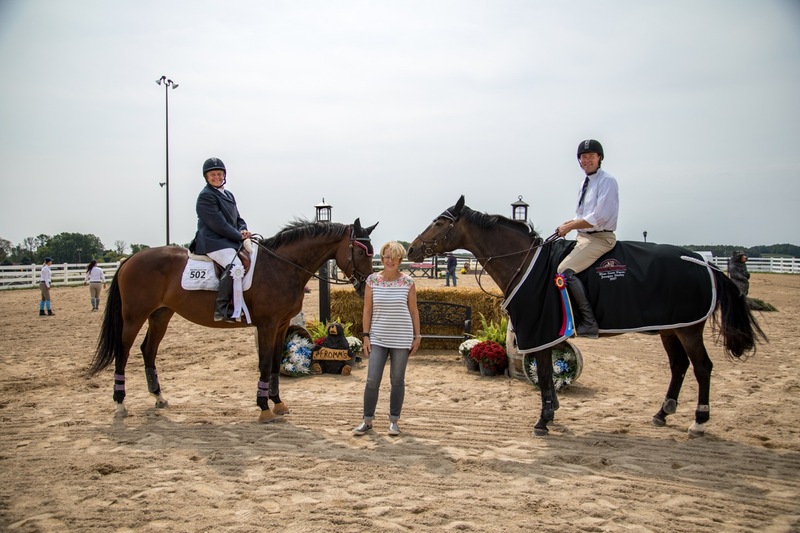 The winner of the Split Rail Stables 1.0m Jumper Derby was James Cricket and Dani Salaj while Home Before Midnight and Carsen Hickson won the Rock River Stables .85m Jumper Derby. 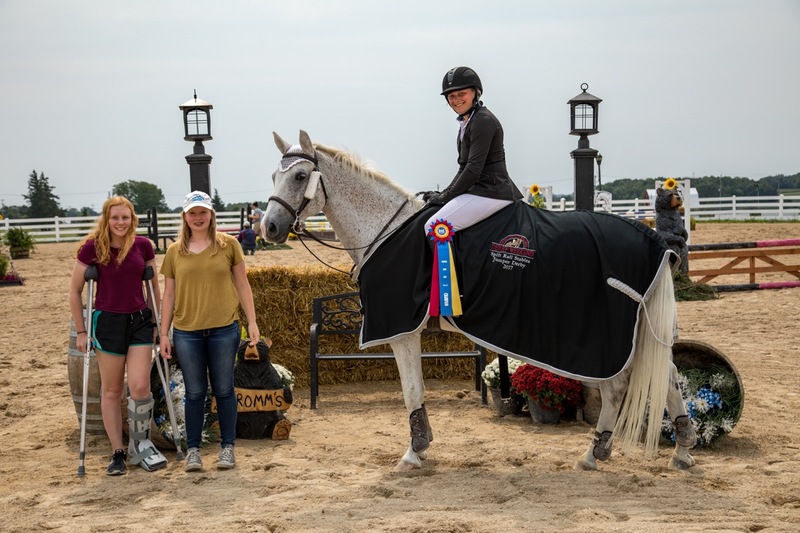 The Blue Ridge Farm .75m Jumper Derby went to Hollywood Diva and Sarah Ayer, who also earned the Fluttershy Stables Fastest Jumper Derby Award. 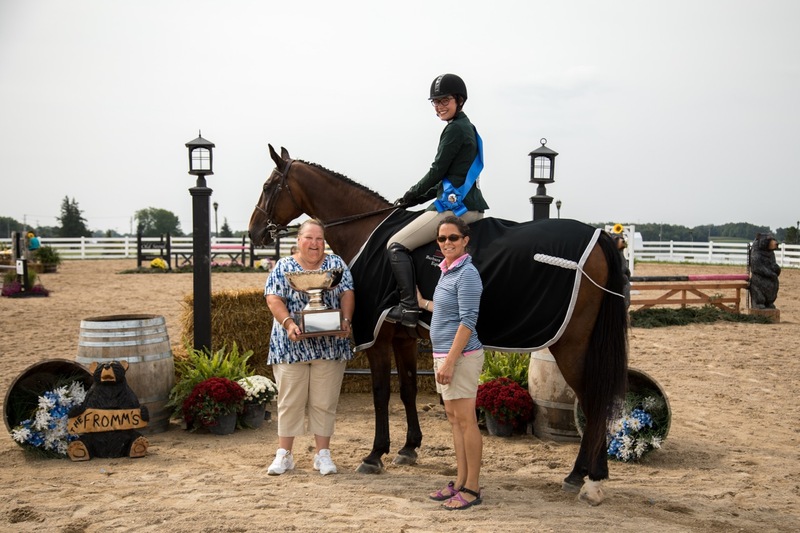 The Most Improved Clinic Rider went to Sara Hafeman and Pep Talk in the hunter section and to Patty VanHousen and Roc of Angels in the jumper section. Mike Henaghan first taught VanHousen when she was 10 years old - she celebrated her 60th birthday during the derby week. Special thanks Nora from Devoucoux for your time and expertise checking saddle fit and allowing riders to demo saddles. "Many thanks and much appreciation to all of our wonderful sponsors," said Hayden-Fromm. "It is an honor to host this event with my friends and colleagues!" Save the date for 2018...August 17-19! 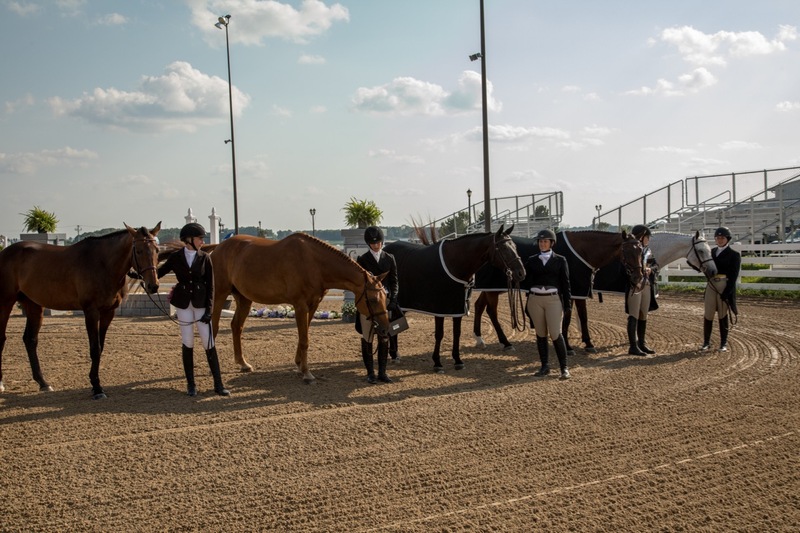 Photos by Capturing the Canter Photography.